• Process and generate final product, such contours, plotting sheets, output for CAD, fly throughs, cross sections and volumes. 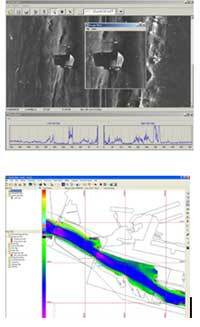 • The side scan sonar collection and processing modules are now standard features of. Graha Mitra Bld 2nd floor, Rempoa Raya 5B Bintaro, Jakarta Selatan.